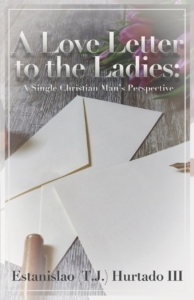 In honor and loving memory of my sister Tina Hurtado Mendoza I announce the release of my book, A Love Letter to the Ladies: A Single Christian Man’s Perspective on July 7, 2018. The date is the two-year anniversary when she went to be in the presence of the Lord. Below are some brief descriptions of Tina Hurtado. Her thirty years as a daughter and sister were not lived in vain. She left her legacy with us and will forever be remembered. Early in the morning on July 7, 2016, we lost Tina in a fatal car accident a block away from her family home in Maryvale. Unfortunately, she was not wearing her seatbelt. This was a hard truth we learned and we encourage all people to remember to always fasten your seatbelt. Do not hold resentment and forgive your loved ones. Never forget to say I love you to those dear to your heart. No one is guaranteed to see tomorrow. Do your best to always keep your heart, mind and daily life with Father God, Jesus Christ and the Holy Spirit at the center. Tina is waiting in heaven for her family to join her as they complete the number of days God has planned for each of them. She was the youngest child to a single mother of four. She is survived by her twin sister who was born one minute before her, an older sister who is seven years older and a brother who is nine years older than her. She never knew her father. Initially, her mother considered giving her and her twin up for adoption. 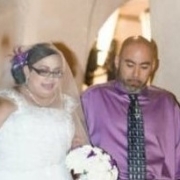 But her brother T.J. and older sister Teresita convinced their mother to keep the twins and told their mother that they would help her raise their twin sisters. Tina struggled a bit with her identity like most people who grew up as a child without having a positive father figure in her life. Even though she experienced many obstacles she was a fighter. She started her personal relationship with her Heavenly Father through Jesus Christ at the age of ten. This book is being published in her honor and loving memory. Being her brother and roommate, I was able to witness her personal spiritual growth as she drew closer to her Abba, Father through Jesus Christ in the last ten months of her life. Jesus, please let Tina know I love her and look forward to being reunited with her in eternal glorious presence of our holy and loving Father! 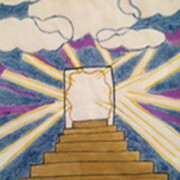 The vision that was placed upon the illustrator’s heart was a golden stairway, which was based on the author’s challenges and struggles that had occurred in her life. The first few steps represent shock, hurt, heartache, disappointment, rejection and despair. 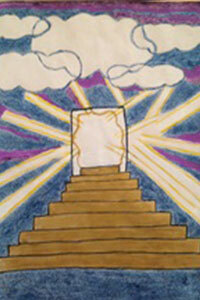 As Julie was obedient and poured her trust in God, the farther she climbed up the stairway. It was then that her process of healing began. Restoration, forgiveness, peace and a renewed sense of strength and confidence – every step of the way, until she finally reached the top and entered into the lighted doorway. Her destination was where her Savior was waiting. He was there with her all the time. Let me start with this; I walked in peace during the whole process of writing and publishing the book. And. It wasn’t always easy. Writing as I was led to do so, the manuscript took about 9 months to write, although the actual time was about 3 months. It was now July and I needed to find an editor. It took time and a few negative comments to find the perfect editor; but each negative comment became a springboard for overcoming. I could not look to the right or to the left, but keep my eye on the instruction to write and publish the book. In the end, I used the first person I was led to contact. The editing process took approximately two months and with the editor’s assignment completed, I found myself updating the content, as God showed me. But it was the Bible quotes that proved to be the thorn in my side. In the end, I quoted the scriptures directly from the Bible to ensure accuracy. Using the direct quote, punctuation and all, was the answer. There was no adding of detracting from the Word of God. I was pleased with the result. Now, it was time for the graphic artist to begin her work. Her talent enabled her to take a basic painting and translate it into a book cover. The interior layout took time, as little things kept presenting themselves; things that needed to be addressed. Patience was the key for this part of the process. What I anticipated to be a 3 week process, took 3 months. I was learning the publishing craft. My mom could lay the foundation, but I had to build the business. Time was actually my friend, as I my knowledge base for publishing increased. During the whole process, I walked in peace and trusted God. By December I came to the conclusion that the book was not to be sold in 2014. But as time progressed, I realized, even the printing had to happen in 2015. When I received notice that the book was printed and shipped, I freaked out. Doubt tried to creep in, but I kept going back to the instructions I had received, acknowledging the ease in which everything came into being, even if it took time. 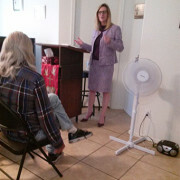 I kept speaking the God inspired vision and having faith to believe. For the first time in my life, something I did was now coming to fruition and no one else had a say in it, unless I asked for counsel. It was just me and God making sure this book came to pass. It became a reality. 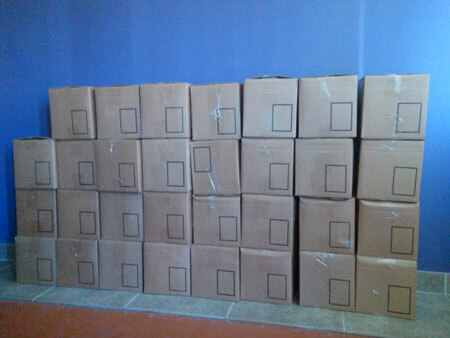 So the books were delivered and when I saw the picture of the stacked boxes my son sent me, my “freaking out” dissipated and I knew a new thing was upon me. God also showed me something about the whole process. Fiesta Publishing and On Earth as It Is in Heaven, are God instructed and I am not dependent on man for the outcome of this season in my life. 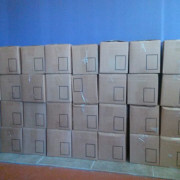 I was obedient to Him and now He will do what He plans to do with the book and the business. It is incredible how our own limitations or choices can keep us from walking into our destiny. I am now one step closer to the open door. The lessons learned, processes, revelations and instructions are shared to readers with candor and transparency. The reader will gain a clearer understanding of the Father, Son and Holy Spirit and how They operate in one’s life to bring each person to their destiny. 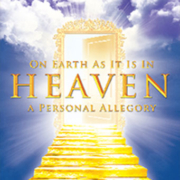 The book cover reflects it best – the steps that Julie followed to reach the open door that God had for her and has planned for each person, if they will follow God’s directions and yield to His leading. 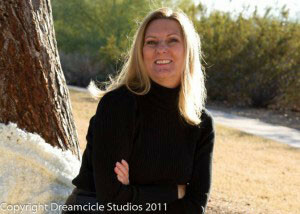 To read an excerpt and learn more about the book, author and publisher go to www.fiestapublishing.com. Contact Julie Castro for further information or to obtain a copy of the book for feature and editorial purposes. For Immediate Release – Announcing! In 2015, Fiesta Publishing adds a new genre. 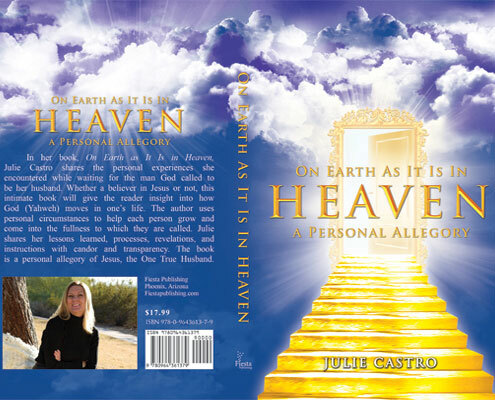 On Earth as It Is in Heaven, a Personal Allegory, is a reality book that shares lessons learned, processes, revelations and instructions that Ms. Castro personally experienced. The reader will gain a clearer understanding of the Father, Son and Holy Spirit and how They operate in one’s life to bring each person to their destiny. Click here to learn more about the book and to pre-order. Orders can also be placed at your favorite bookstore. Ask for ISBN is 978-0-9643613-7-9.
https://fiestapublishing.com/wp-content/uploads/2015/04/on_earth_cover_sm.jpg 341 341 Julie Castro https://fiestapublishing.com/wp-content/uploads/2015/05/Fiesta-Logo_New_Web_b_optimized.jpg Julie Castro2015-01-16 14:19:522015-05-22 11:16:37For Immediate Release - Announcing!